Sample preparation is currently one of the major challenges of in-vitro diagnostics, and single-cell isolation is not an exception. Identifying differences between individual cells amongst an entire population provides an understanding of the population’s heterogeneity and behavior. 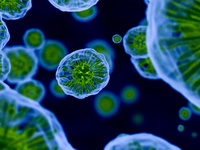 Unlike the global analysis of a collection of cells, in which only the average properties are considered, single-cell analysis enables the identification of small but critical changes from one cell to another within the same sample. 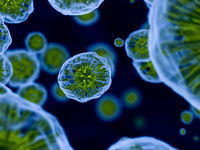 However in order to achieve single cell analysis, several challenging functions must be performed: cell sorting, cell isolation, cell lysis and purification. Classic methods for single-cell experiments accumulate several disadvantages linked to performances, cost and cell damage. That is why single-cell sample preparation requires new techniques to be performed in an efficient way and microfluidic-based techniques are part of them. 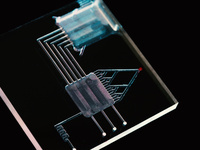 Indeed, microfluidic technologies allow the manipulation and isolation of single cell in a much efficient and cheapest way in comparison with reference techniques, without damaging the cells. Year 2015 represents an inflexion point in the market acceptance of microfluidics devices dedicated to single cell analysis.